I have a Rail I traded for a while ago. Its cool but now I am thinking that I might want a Baja again. Had a pretty cool Baja decades ago when I lived down south. I suppose my question is could you guys tell me if its possible to use the cool parts of the rail on a new Baja? Ya you could, but why? That's a pretty cool rail. Why not keep it and build a new Baja? Of sell it and buy a Baja outright? Ack sorry .... thanks for fixing that post. Was test kinda to see if it would work from google plus. Thats a good point man. Ive herd its really hard to sell rails here in AZ. 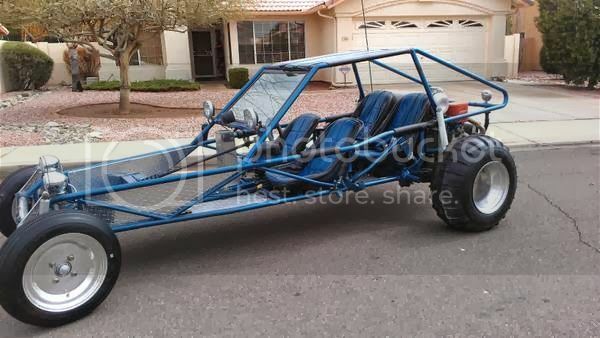 That may be the better way to go to sell it .... hummm I wunder if someone would want to trade a rail for a Baja? I just saw the PM. Replied.